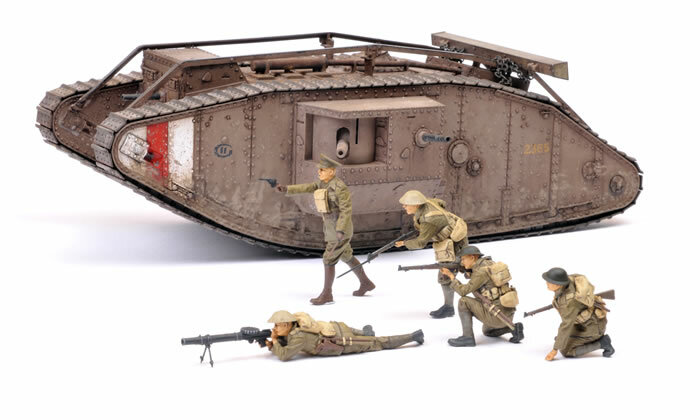 Here is my Tamiya 1/35 scale British Mark IV Male Tank. 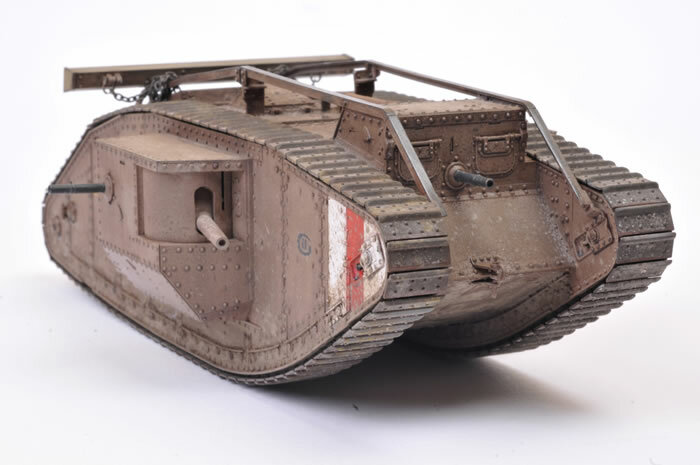 The model was built from an early test shot that did not include motorisation parts, but it is externally identical to the motorised version. The finish is Tamiya's recommended mix of XF-52 Flat Earth and XF-55 Deck Tan, resulting in a dirty salmon shade. Weathering is a hit-and-miss combination of washes and pigments. 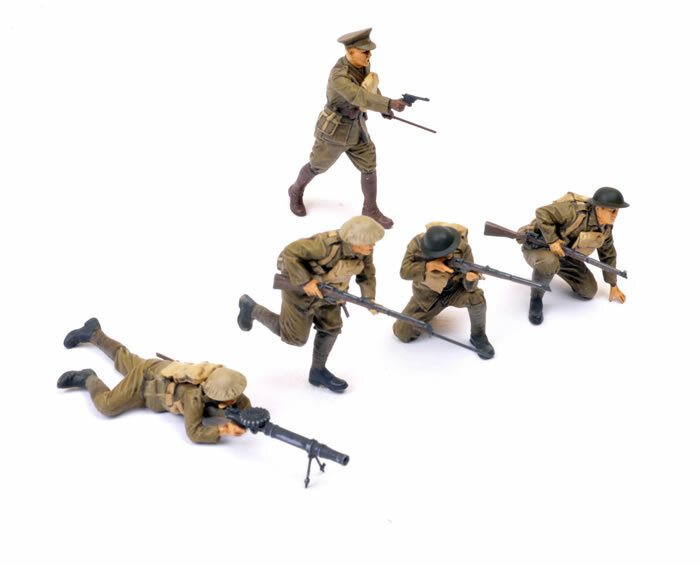 The crew figures are Tamiya's own British WWI Infantry, which are included in the initial export release and also as a separate set. 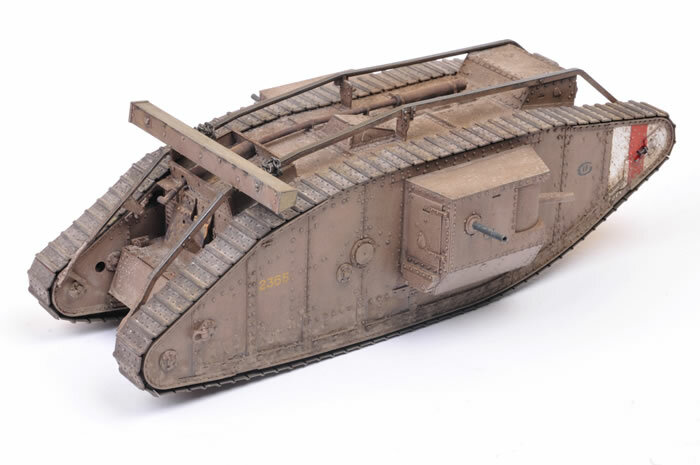 I have written up the painting, weathering and the figures for a big a Feature Article in Issue 103 of Model Military International magazine; accompanied by Part One of a Think Tank WWI reference series from Bruce Culver. MMI is now also available as a digital magazine that you can read on your PC or Mac home computer. This means it is less expensive, and that the issues are available easily on day of publication the World over.